Jane Lauer Barker concentrates in labor and employment law and litigation, including employee benefits litigation. She counsels clients, litigates in both state and federal courts, and regularly handles a variety of administrative and regulatory proceedings, including wage and hour investigations, NLRB proceedings and employment discrimination complaints. Prior to joining Pita LLP, Ms. Barker was partner at Pryor Cashman Sherman & Flynn LLP. 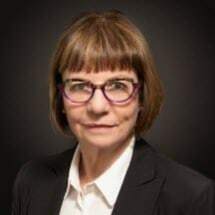 Ms. Barker previously served as the Assistant Attorney General in charge of the Labor Bureau in the New York State Attorney General’s Office, where she oversaw civil and criminal enforcement of state labor laws and engaged in appellate litigation on behalf of the state of New York. She represents the state of New York in numerous appeals before the New York State Court of Appeals and the 2nd U.S. Circuit Court of Appeals. Ms. Barker is a member of the bar of the state of New York and is admitted to practice before the U.S. District Courts for the Southern, Eastern and Northern Districts of New York, the 2nd U.S. Circuit Court of Appeals, and the Supreme Court of the United States. She is a member of the American Bar Association. She received a Bachelor of Arts in journalism from the University of Wisconsin- Madison and a Juris Doctor from the Universality of Wisconsin Law School in 1976, where she received the American Jurisprudence Award in Constitutional Law.